In the past, Orion has been asked to apply their technology to custom applications in which standard stretch wrapping systems were not sufficient. Some of these custom systems have become standard specialty models. 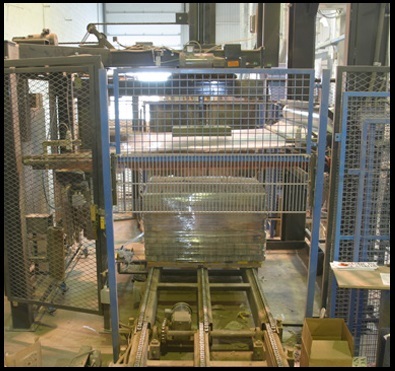 As well, Orion has the capabilities to design a custom stretch wrap packaging system for almost any application. The HCP-56 gives users the ability to incorporate a semi-automatic stretch wrapper into an existing conveyor line or add gravity and accumulating conveyors for faster processing of loads. This system provides the six sided protection desired for total product protection and to "lock" the load effectively to the pallet. It consists of a large Constellation orbital wrapper combined with an automatic stretch wrapping system. 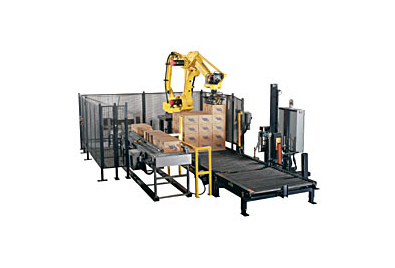 This machine helps to realize greatly increased uptime and lowered total pallet packaging costs. This system protects a wide variety of window and door products. It is able to wrap one to several products quickly and efficiently, unitizing and protecting. The RW-44 is designed to stretch wrap roll product by turning the roll on steel rollers while spinning the product on a 14 RPM turntable. This provides complete protection and unitization of the roll. Orion Packaging and Brenton Engineering have come together to provide an "all in one" robotic palletizer/automatic stretch wrapping machine. 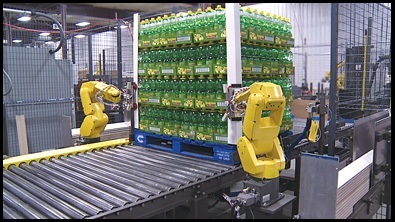 It is designed to increase productivity by integrating separate material handling and pallet packaging into one fully integrated system. 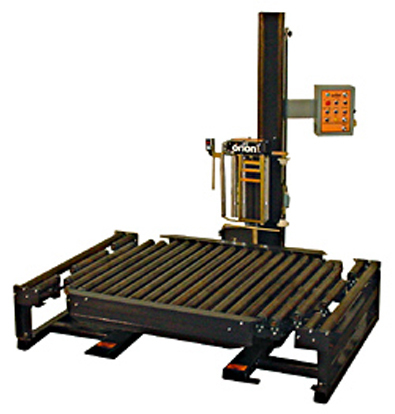 This system can handle a wide variety of product types, sizes, and weights and can easily be programmed to handle a variety of stacking patterns. 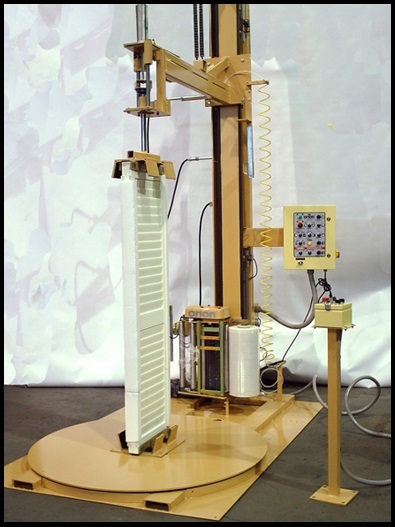 This system is used for the automatic application of a polyethylene top sheet. 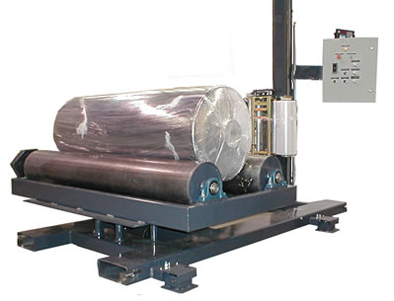 It is available for use with both rotary tower and turntable automatic stretch wrapping systems. The infeed section top sheet dispenser applies the top sheet to provide total load protection. This system is similar to the infeed section top sheet dispenser as it is used for the automatic application of a polyethylene top sheet. It is used in the process area and applies the top sheet after the initial wrap but before the final wrap. The in-process top sheet dispenser assures total load protection. 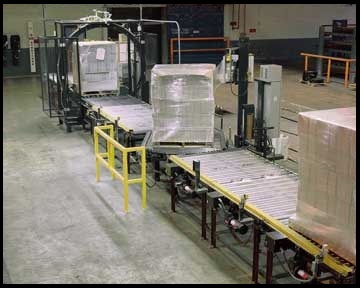 The RCBA is the fastest, most efficient way to apply corner boards to pallet loads. It vastly increase the precision and simplicity of the corner board application process compared to systems that use mechanical means. 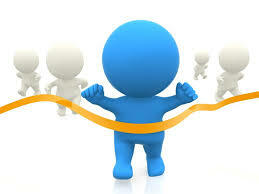 The attachment methods used by the system can be tailored to customer specifications. 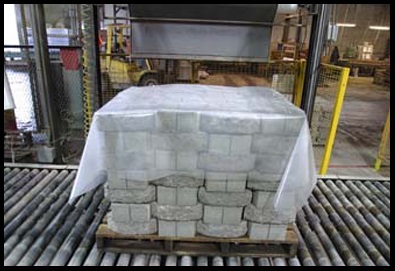 The MCBA is designed for customers who require operators to apply corner boars to pallet loads in a safe and efficient manner. This system is available on the Orion FA turntable automatic system. 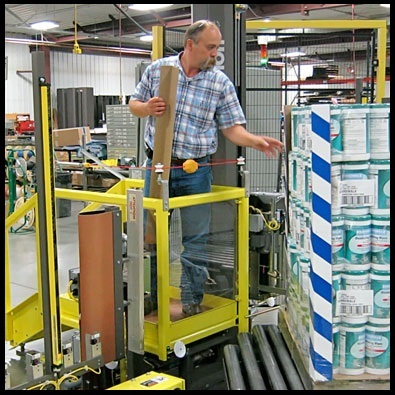 Orion's semi-automatic rotary tower wrapper can be mounted to an optional two-way or three-way stand to give customers extra wrapping areas. 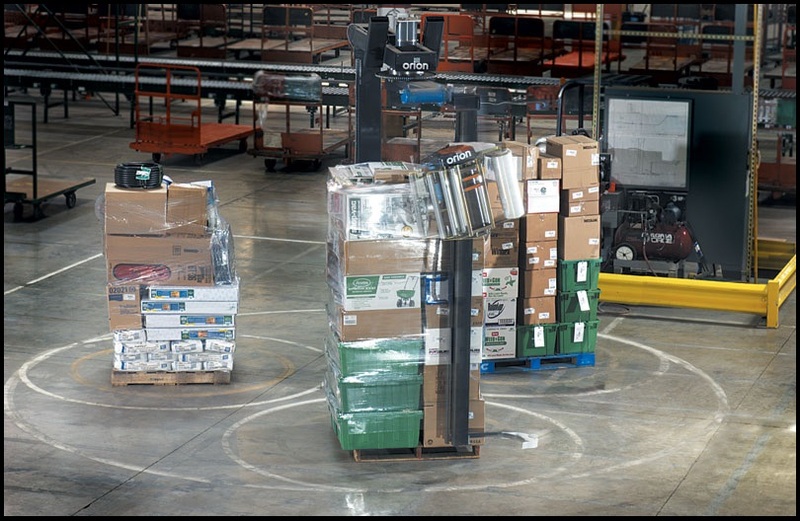 This system is ideal for applications in warehouses and near loading docks where space is limited yet volume is medium to high.